2018 RV Clearance Sale At AC Nelson RV World! The 2019 model year RVs are starting to come in, and we must make room on our lot! So right now, at AC Nelson RV World, we are having a huge 2018 RV Clearance Sale on all 2018 models. From pop-ups to motorhomes, we’ve got floorplans ready and waiting for you save big. Check out a few of savings you can enjoy! Save $1000s on every type of RV at our 2018 RV Clearance Sale! 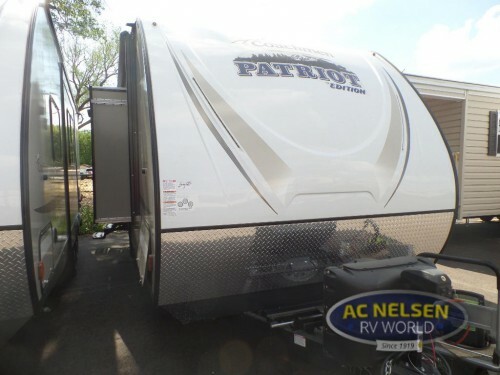 We still have plenty of 2018 travel trailers available like the Coachmen Freedom Express 233RBS. With dual opposing main room slides, you will have space for more sitting areas, an entertainment center, and a full kitchen complete with island with built-in sink for more prep space. Plus, have your own space in the queen master, and with a swivel function entertainment center, you can watch movies and TV shows from the comfort of the bed. Enjoy all this for just $20,988! Find deals on travel trailers, expandables, popups, and more! 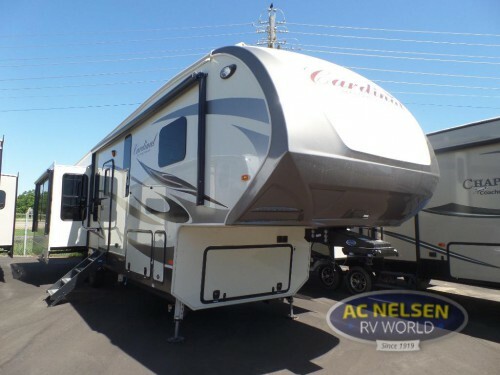 You’ll also want to take a look at the 2018 fifth wheels for sale at this Clearance Event like this Forest River Cardinal 3456RL. With a savings of over $37,500, living in the lap of luxury has never been so easy. This triple slide floorplan features theater seating, a built-in fireplace, double vanity sink, a 3-door stainless steel fridge, a king master bed, and more! You’ll love every minute at the campground in this beautiful RV. Get more luxury for less with our 2018 fifth wheels and motorhomes! If you are looking for even more luxury, you can find huge savings on our Class A & Class C motorhomes such as the Thor Motor Coach Vegas 25.3. This Class A model comes in at a price of just $79,988, so you can save over $44,000! 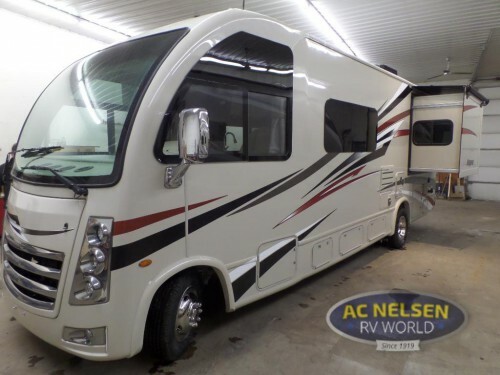 Whether you are driving down the road or parked at your campsite, this RV will keep your family comfortable with sitting and sleeping spaces throughout the interior including a drop down over cab bunk, jack knife sofa, and flip-up queen bed! Plus, with multiple LED TVs both inside and out, you will have entertainment right at your fingertips. Get ready for big savings at our 2018 RV Clearance Sale! If you want to start living the RVing lifestyle, contact us or stop by our locations today and check out our incredible prices. Get your 2018 RV before they are all gone!